The NAHS chapter, which meets once a month, is run by Mr. Ames. The Leo Club’s motto is: “to provide our members with Leadership, Experience, and Opportunity,” which is what Leo stands for. In addition to the monthly meetings, participants in the club are expected to participate in two community service projects a year. This year alone, the Leo Club has volunteered at several local events, including the Plainville Fall Festival, held on October 4th of this year. They also played a part in the Back to School Blasts at Martin School and Amvet School, and volunteered at the Lion’s Club Pancake Breakfast, which was held on Sunday, October 11th. Right now, members of the Leo Club are participating in a speech competition in response to the prompt: “How has social media changed society?” Members who write speeches will first compete against each other, and the winner will represent NAHS at a local competition. Mr. Ames stated that the school competition is scheduled for the beginning of November, but the time has not been set because the group is awaiting judges from a local organization. The Leo Club is also planning on holding pickleball and basketball tournaments in order to raise money for charity. The pickleball tournament will be sometime in November, while the 3-on-3 basketball tournament will be held this spring. Stay tuned for more details on these events. 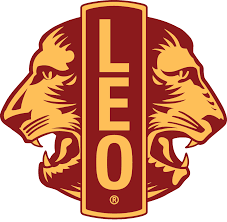 The Leo Club is always accepting new members. If you’d like to join, or ask for more information, you can speak with Mr. Ames, or email him at mames@naschools.net.